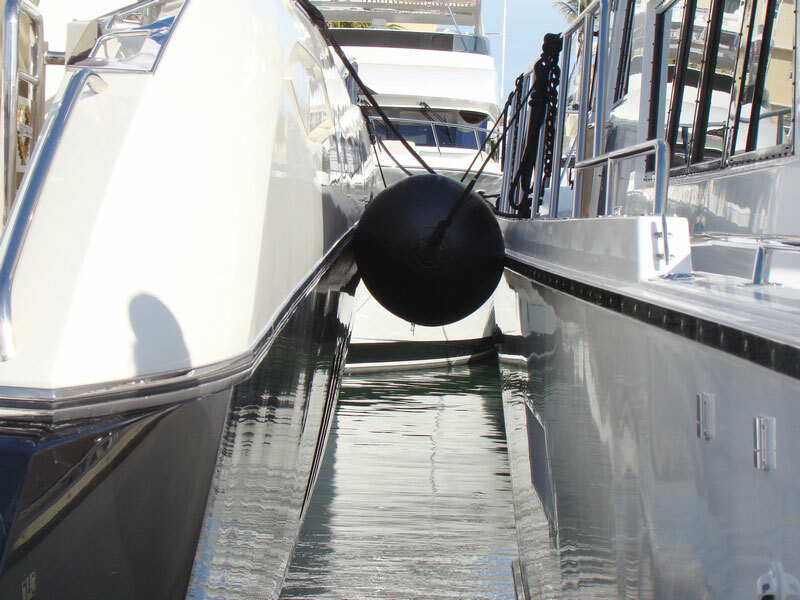 SATURN marine inflatable fenders are designed to protect motorboats, yachts and sailboats from damage during mooring. 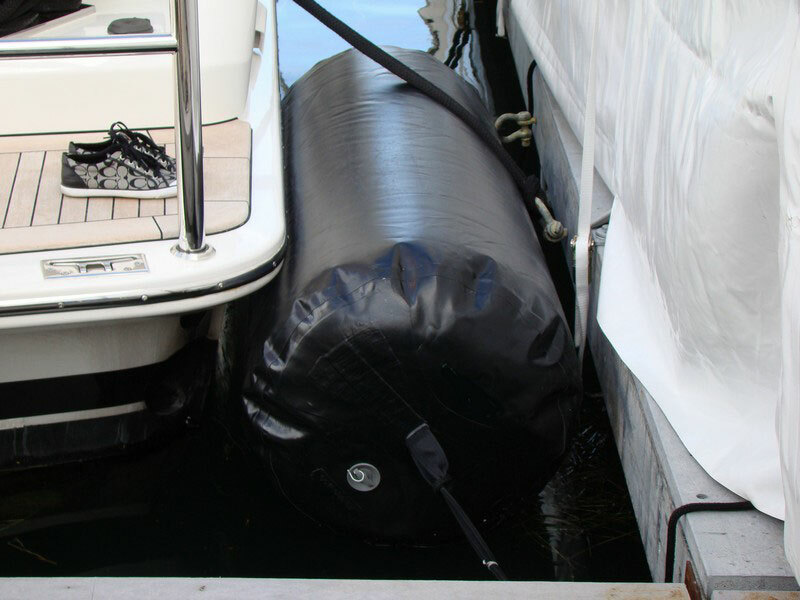 Our Inflatable Fenders are made of extra heavy-duty PVC fabric that is resistant to tear and abrasion. 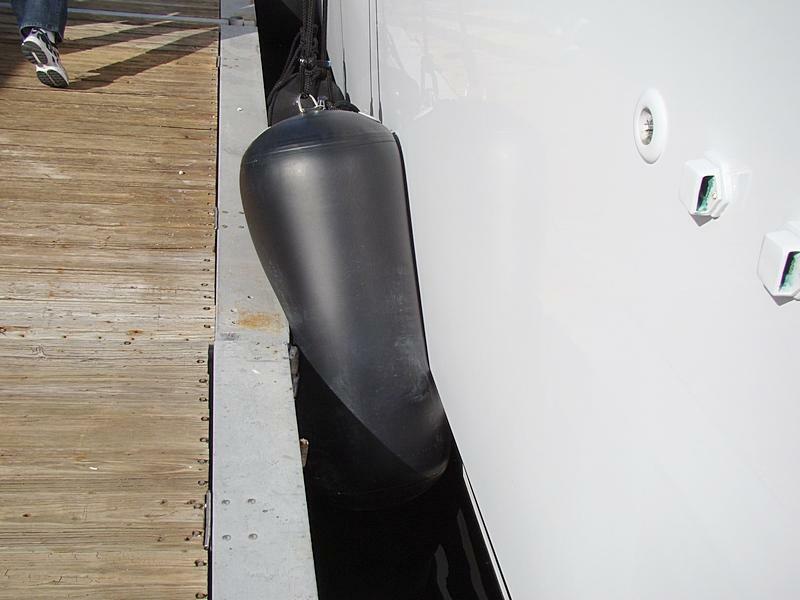 1 Last Extra Large 60x18 Fender we have in stock has very small scratch on its surface. Therefore sold with discount of $20. 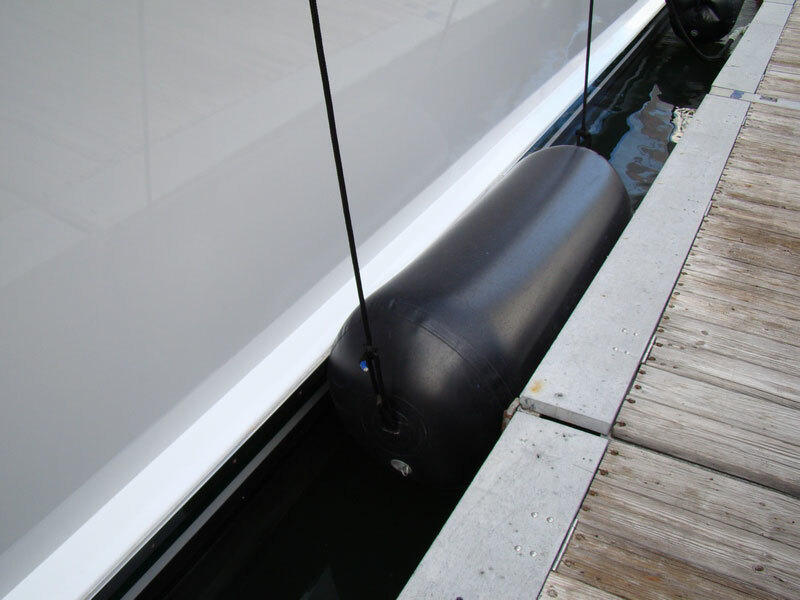 We offer Extra Heavy-Duty 1.5mm PVC fenders, which is almost twice of thickness of regular PVC. 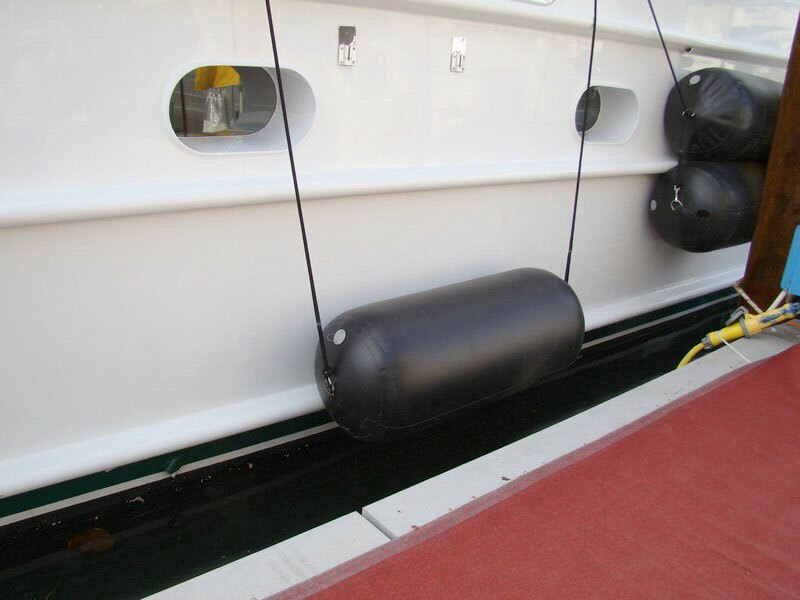 We use only high-quality Korean PVC fabric with polyester support with excellent resistance to tearing, tension and breaking. 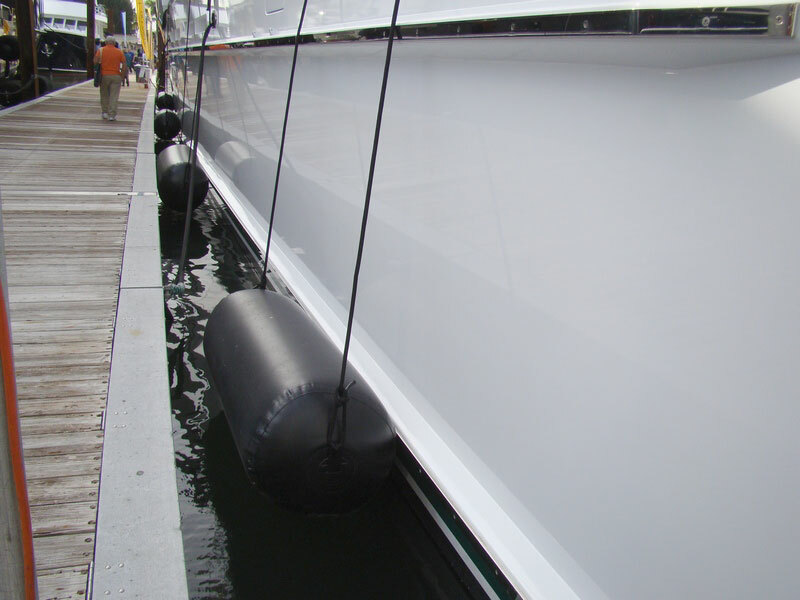 Our fenders made of 1.5mm PVC is much more heavy-duty then other more expensive fenders found on a market today. Flat Naru pushpin valve and 2 stainless steel D-rings glued at both ends. Hand pumps and electric pumps are available at our Accessories section. 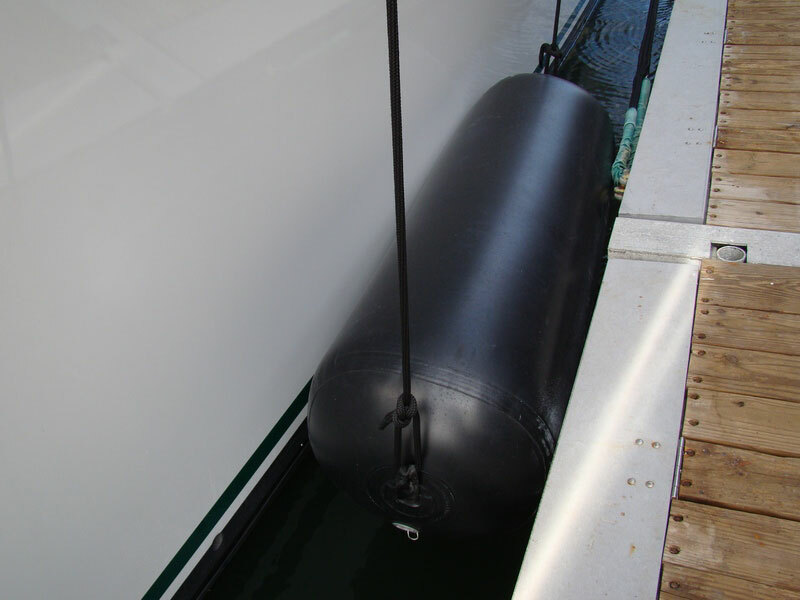 Question: How to inflate fender? Answer: Each fender come with adaptor that can be connected to manual pump. 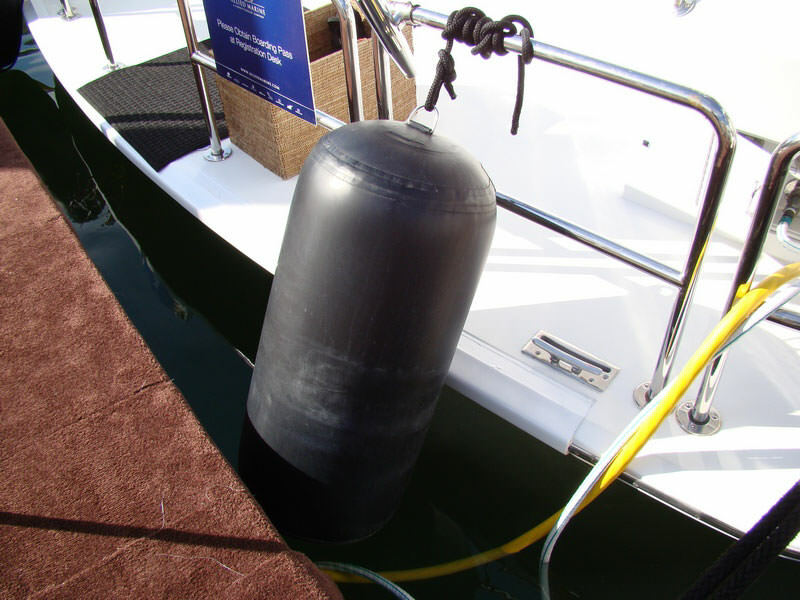 However, inflating with hand or foot pump is time consuming. Therefore, best way to quickly inflate fender is to connect provided adaptor to hose of some kind of basic electric pump. You can get electric pump for around $20 in any Wal-Mart or K-Mart. 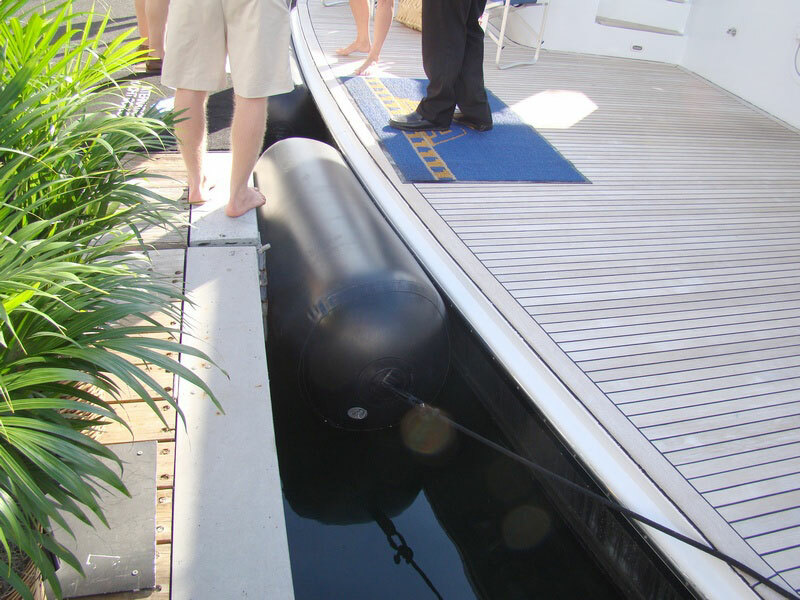 Question: What is the warranty for inflatable fenders? 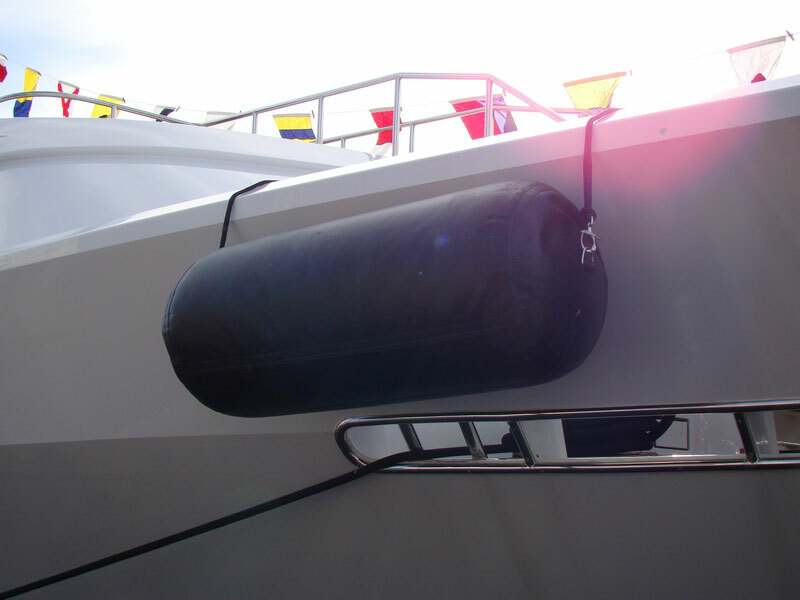 Answer: Fender seams are covered by our 2 Year Manufacturer Warranty. However, D-Rings are not. 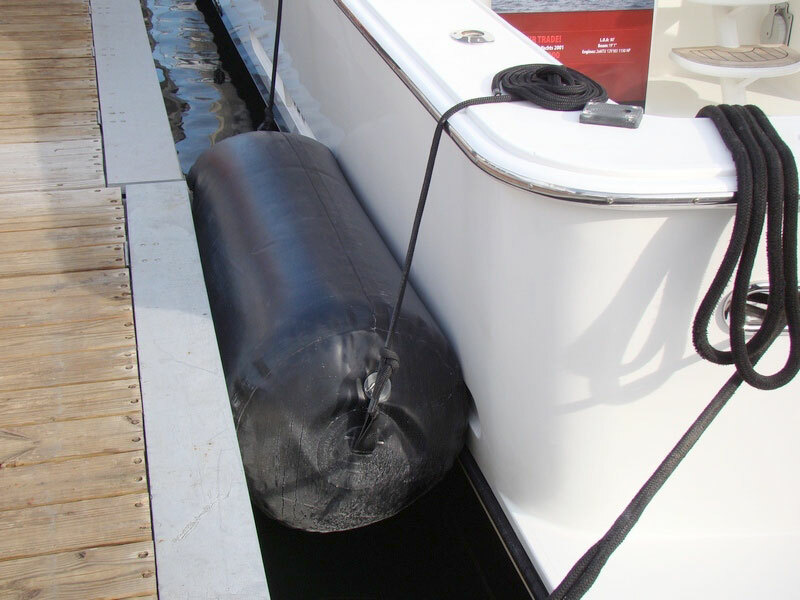 They are constructed to support a reasonable weight of up to 100lbs. 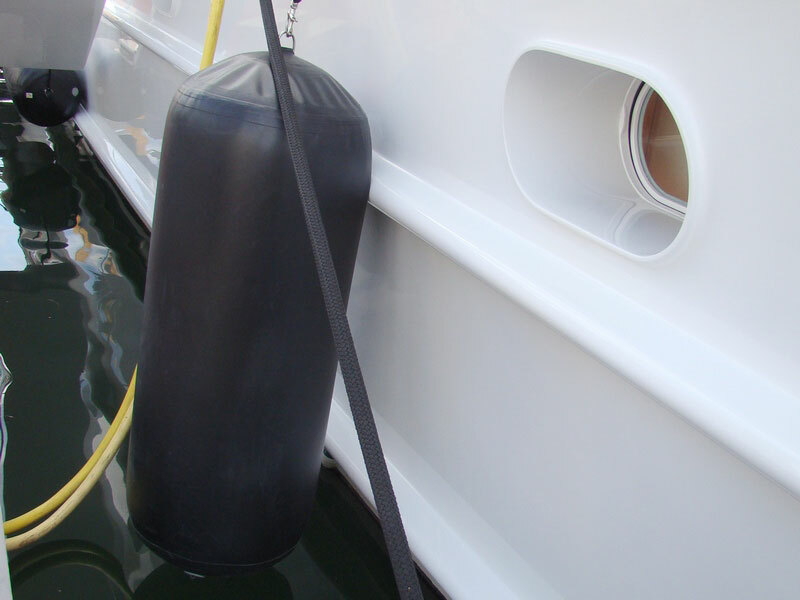 The fabric used on our D-Rings is composed 2 heavy duty layers of woven PVC and is very difficult to tear. 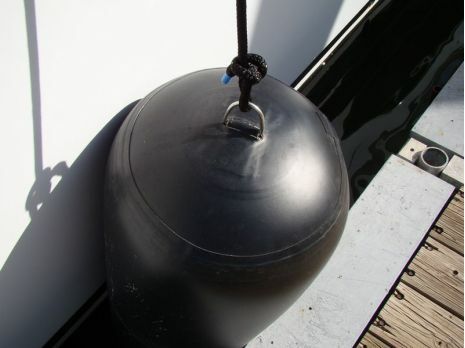 A very strong force will need to be applied in order to cause damage to the fabric incased D-ring. 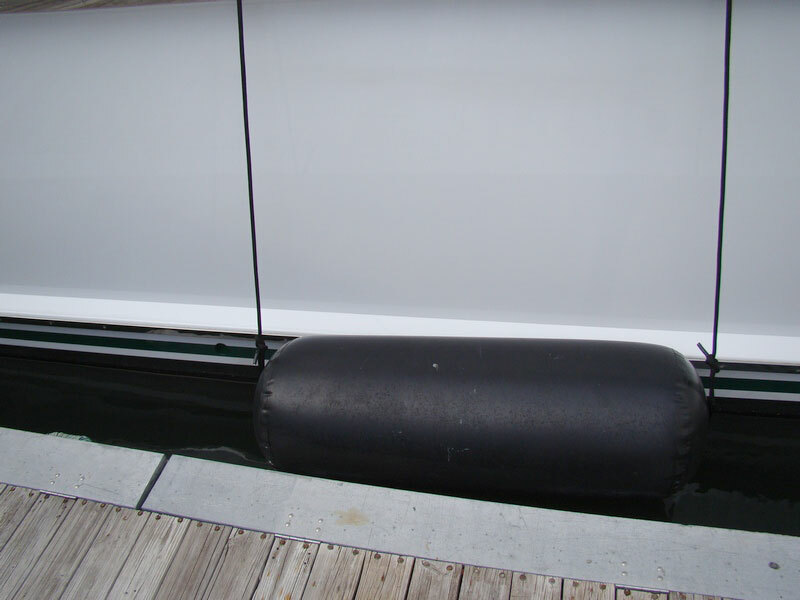 As the tide recedes, the boat will lower placing its entire weight upon them, in effect tearing the D-Ring fabric - because they are not designed to withstand the weight of the boat itself. 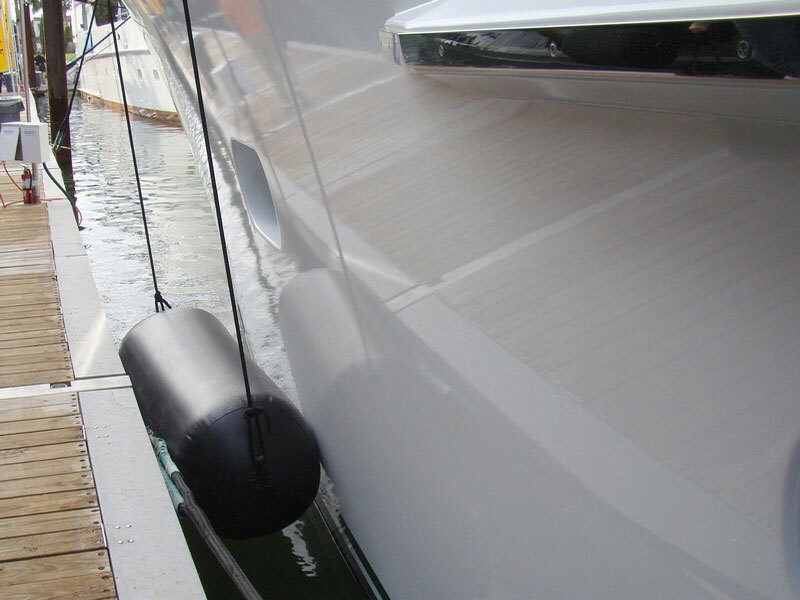 This would be considered excessive wear so we ask that you please note placement of the fenders alongside your boat keeping in consideration future tidal changes. By Tsm on Dec 05, 2017 "Couldn’t be happier. Going to buy a third for a back ... 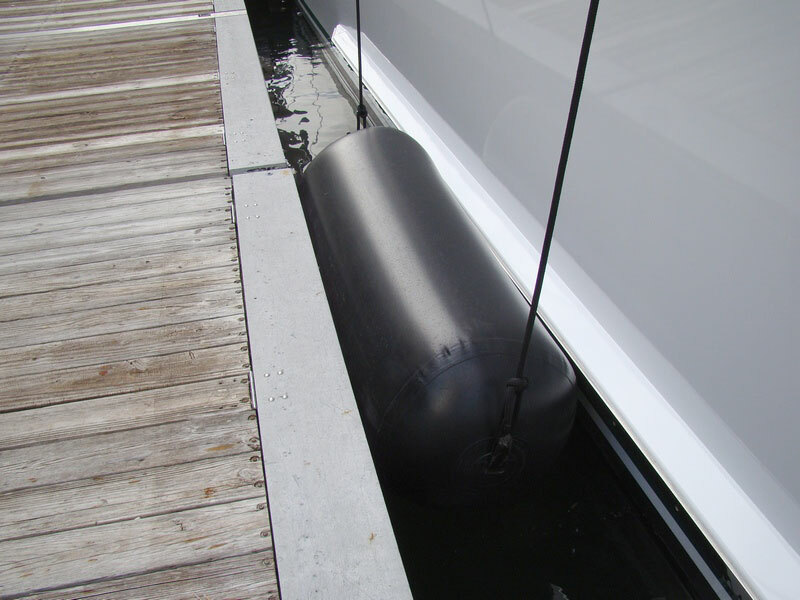 So I took the advice of the web site and hung these horizontal so they could roll with the vessel as needed. Last night we had 20-50mph winds, and these things took a beating literally all night, eyelets held firm. 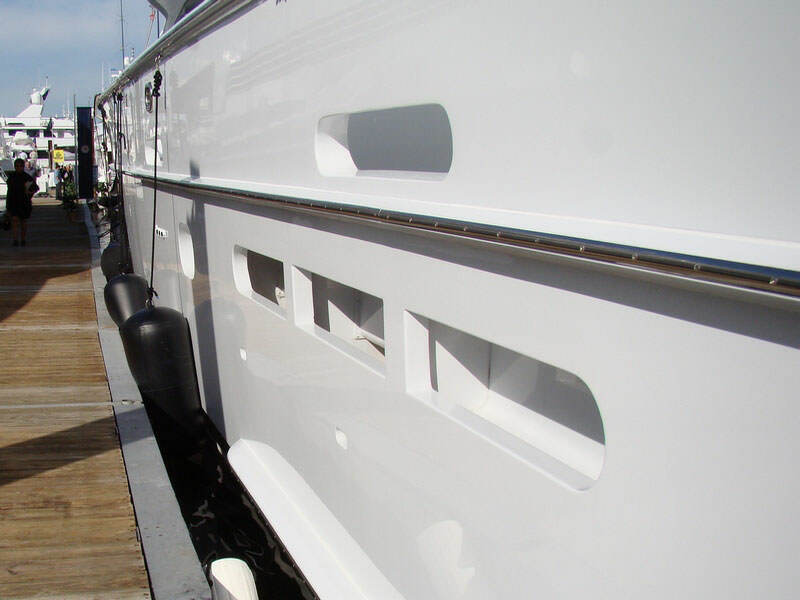 I used two on a 40’ 20k pound vessel, couldn’t be happier. Going to buy a third for a back up just in case, as it will be a long winter."